Battery Disconnect & Switches There are 16 products. 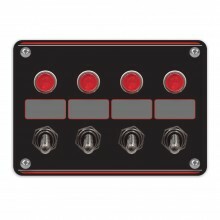 Race Quality Switches To Keep Every Connection Solid & Secure In Your Racecar. Build your electrical system once and correctly with quality electrical switches and enjoy many seasons of trouble free racing. 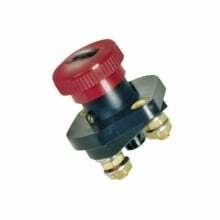 Racecar Battery Disconnect Switches With Alternator Circuit Cut or Basic 2 Pole Battery Disconnects are Installed In Every Racecar on Track Every Weekend. 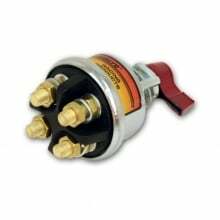 Modern electronics and complex ignition systems require more amperage than ever. Make sure your racecar battery disconnect is allowing every amp to you to provide maximum power. 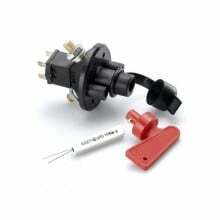 Multiple fuel pumps, electric radiator fans, brake blowers, diff cooling pump, cool shirt with helmet blower, and ignition boxes pull more amperage and require a more complex and robust battery disconnect switch. 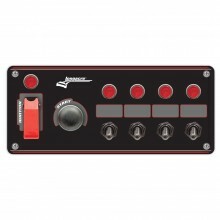 DiscoveryParts offers Longacre Battery Disconnect Switches in Basic (2 post) and Alternator Cut (4 Post) configuration for every amp requirement. 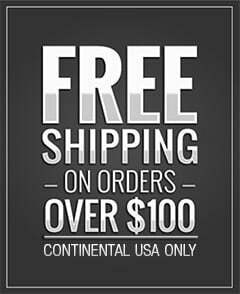 Build your electrical system correctly now and enjoy years of trouble free racing. 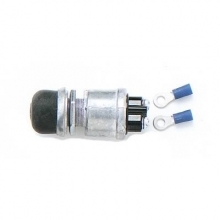 Race Quality Ignition Switches To Keep Every Connection Solid & Secure In Your Racecar. 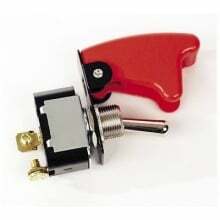 Build your racecar once and correctly with quality electrical switches and enjoy many seasons of trouble free racing. 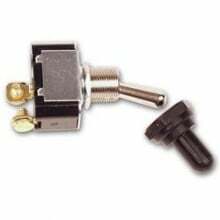 Let DiscoveryParts help you build or improve your racecar ignition system with toggle, momentary, and 3 way switches that can handle your harsh race conditions. A well built electrical system, once installed, is not thought about again. 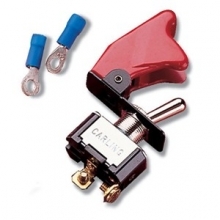 Trust DiscoveryParts to keep you in front of your competition with true racecar quality switches. 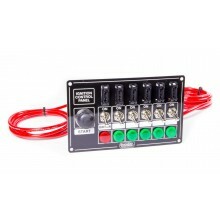 Race car pre-wired switch panels make race car wiring E-A-S-Y. 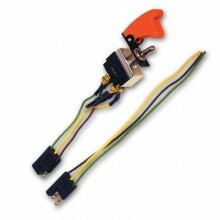 Race car wiring is made simple and safe with color coded, easy to install race car electrical panels. 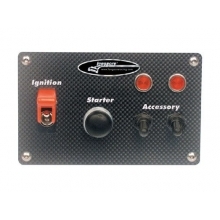 Easily control your race car ignition system and accessories with heavy duty, pre-wired panels that will keep your race car electrical system at its peak performance. 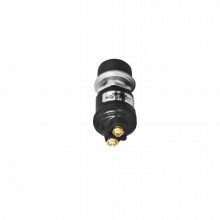 Accessory switches with pilot lights easily inform the driver of a complete circuit and let you keep your focus on the competition. Racecar wiring can be overwhelming when looked at as a whole. But when broken down into systems and then components, the maze of wiring is pretty simple. Race car wiring, be it the primary ignition circuit or a helmet blower, once looked at as a component, is rather simple. 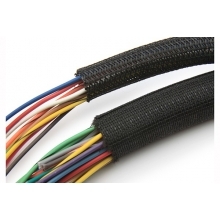 Let DiscoveryParts help you build or complete your race car wiring project with the best products. 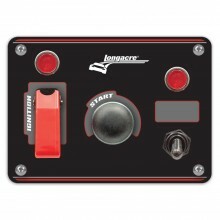 Longacre 45750 Battery Disconnect Switch With Rotary Battery Disconnect. 175 Continuous AMP Rating Stops The Most Powerful Engines. 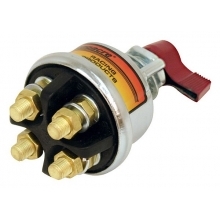 Battery Disconnect Switch By Longacre with high capacity alternator circuit. 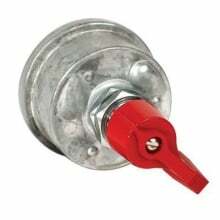 Longacre 45749 Battery Disconnect Switch With Push-Pull Battery Disconnect. 175 Continuous AMP Rating stops the most powerful engines. 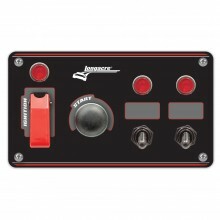 Longacre Momentary Starter Button With Weatherproof Cover and 2 Terminals for harsh environment race conditions. 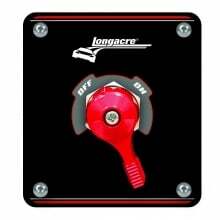 Longacre Waterproof Starter Button and 2 Terminals for harsh environment race conditions.